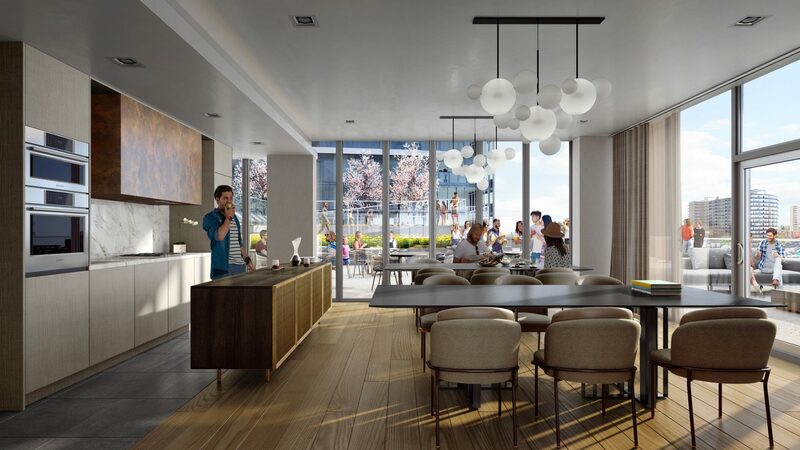 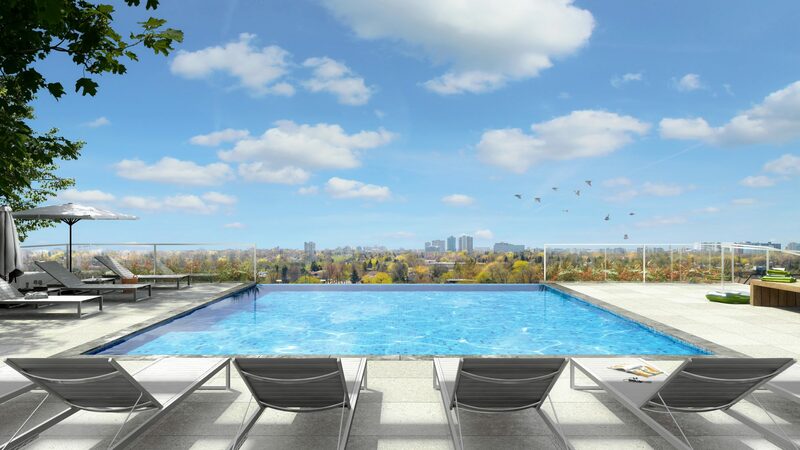 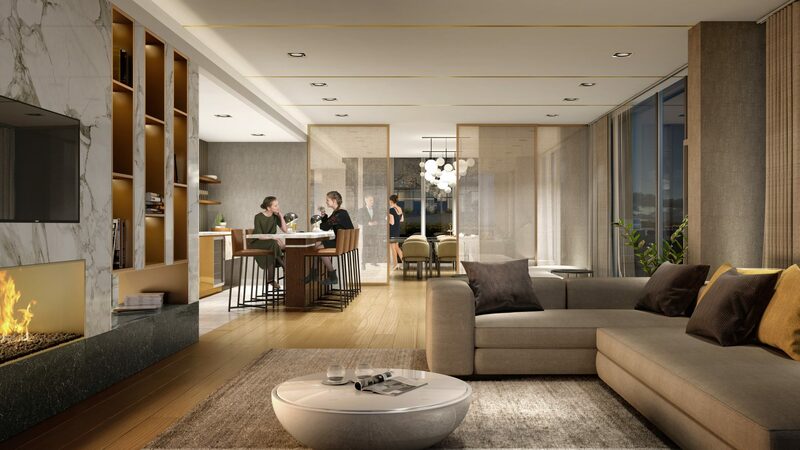 The lobby and amenities for these two condominium towers - phase one of a five tower master-planned development that also encompasses a new public park, daycare and community centre – expresses a grand hotel style. 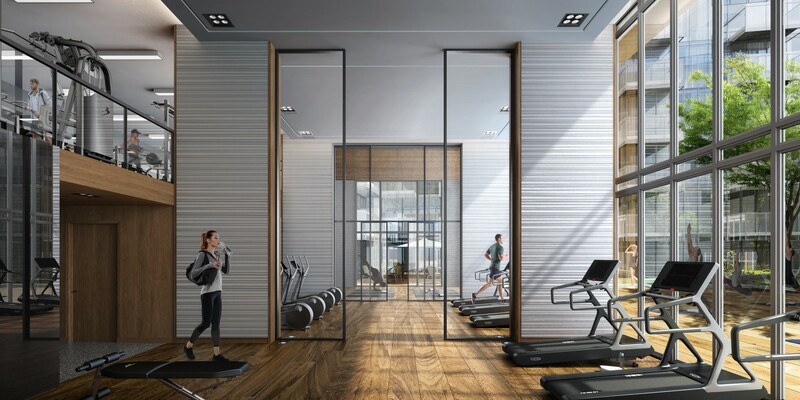 Influenced by the developer’s desire to promote healthy lifestyles, amenities are devoted to activity and wellness for a wide demographic, including families. 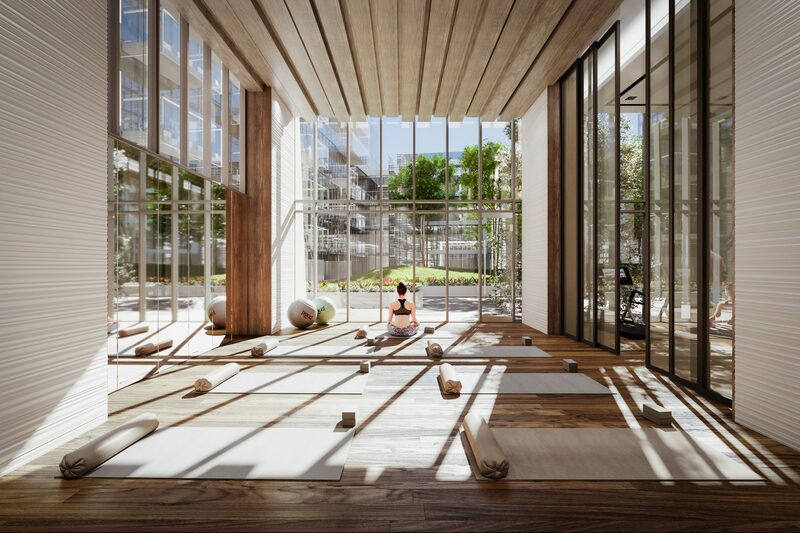 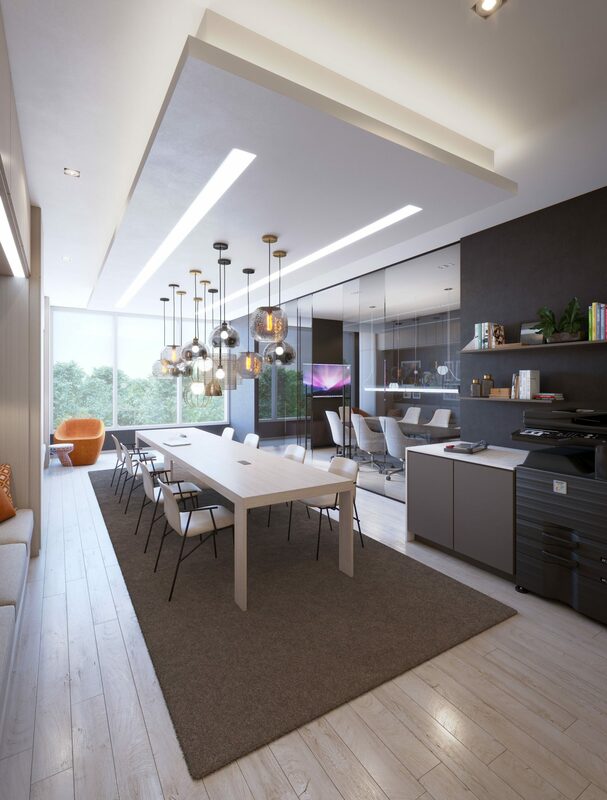 As such, the residence incorporates a children’s play room, a two storey yoga lounge and fitness studio, theatre, party room, co-working and outdoor infinity pool. 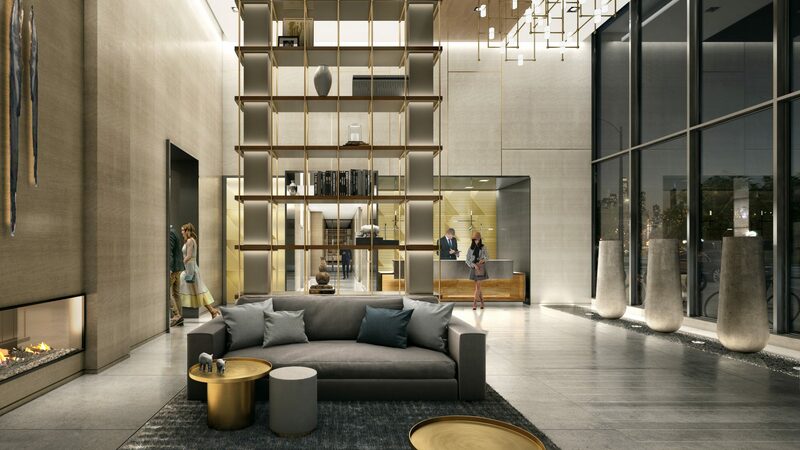 The voluminous double height lobby includes oversized planters, an architectural feature bookcase, a backlit onyx reception desk, light stone walls and warm wood panelled ceilings. 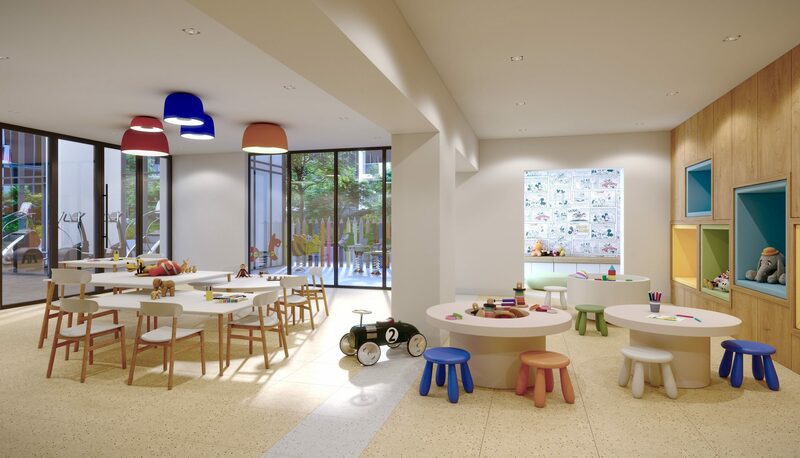 Recreational areas continue this sophisticated ‘international’ flavour, with family zones revealing pops of colour and playful detailing.